Happy Harry Potter!! With Harry Potter’s birthday on the 31st of July, every year Rae Gun Ramblings hosts a series honoring the entire Potter canon, with giveaways, diy crafts, and more! I love making a little something for the theme each year and this year is no exception. The Classic Maillot swimsuit and tankini was the perfect backdrop for a Hogwarts themed bathing suit. I didn’t have to make ANY adjustments or hacks to the pattern and this tankini is view F in size 6 for my girl. Isn’t this just a perfect little Gryffindor uniform swimsuit? Bean still hasn’t been introduced to the world of Harry yet, but I think this year will be the year. She loves reading and being read to and her newest thing is “chapter books” so we may try the first book and see if it holds her attention. The Classic Maillot is on sale with the code “SWIMTOUR” in my Etsy store this week so take advantage of it while it lasts! The discount is part of the Summer Swimwear tour and you can read all about that in the kickoff post here if you’re interested. This girl was being super goofy during the photo shoot, but she LOVES her new tankini. Wait until she learns more about Harry and she’ll love it even more, hehe. To see what I’ve made for the series in the past click here and here. 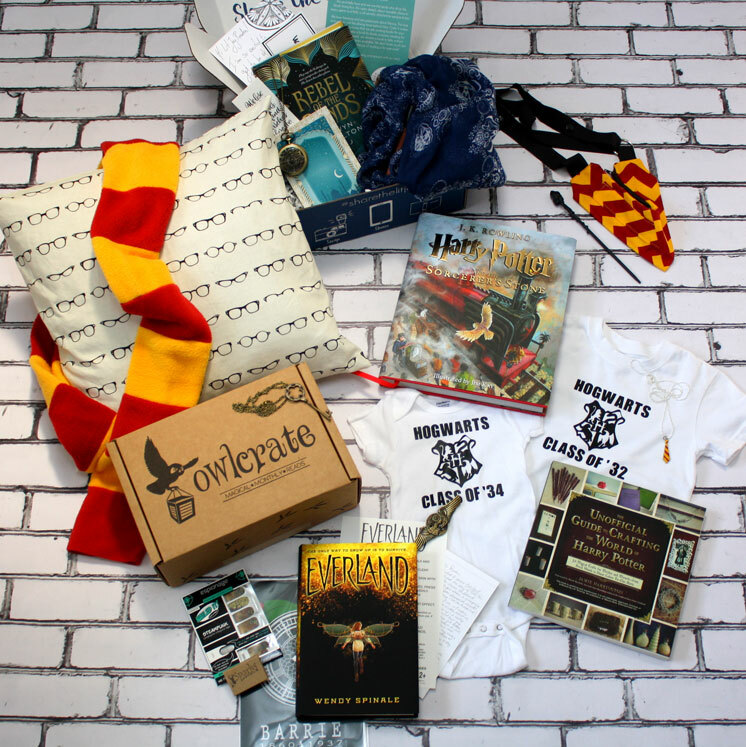 For more info about the Happy Harry Potter series and all the giveaways (including a copy of the Classic Maillot pattern! ), see the links below! Prize Pack #1 See more about each prize and sponsor at this giveaway post and be sure to enter the other equally awesome prize pack while you’re there! Winner must have a US address or be willing to pay for international shipping.